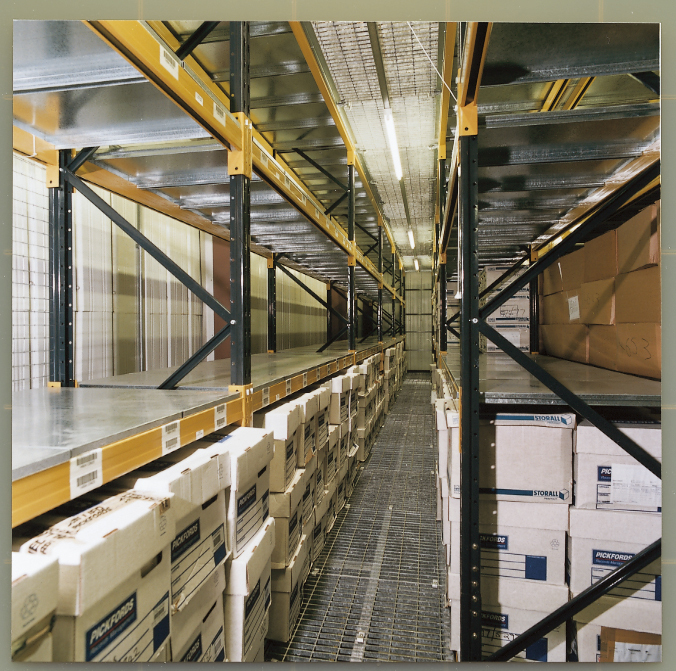 Pallet racking floors are primarily used for heavier duty and large area storage applications that require two or more tiers in the height, called a 'two tier or three tier racking floor'. 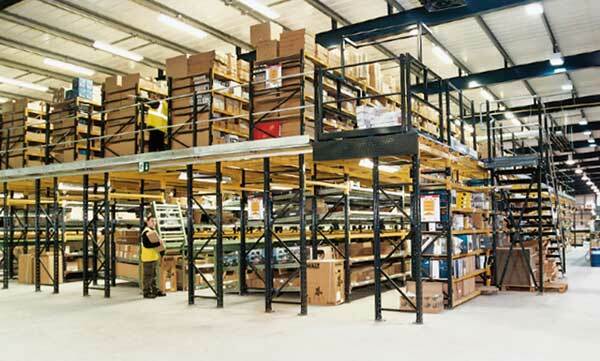 They comprise of pallet racking frames set out in standard runs usually with aisles no wider than 1.2m, the floor decking is supported on timber or steel joists which in turn span across heavy duty 'floor beams' clipped into the pallet racking frames. 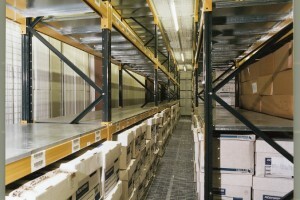 The ground floor then has shelf beams with chipboard, timber or mesh shelf panels added where required in the runs of racking. 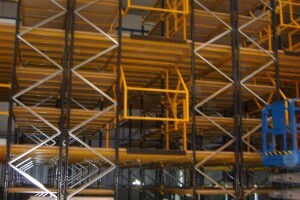 The ground floor racking frames protrude through the decking level to form the racking on the first and or second floors and shelf beams / panels are added as and where needed. 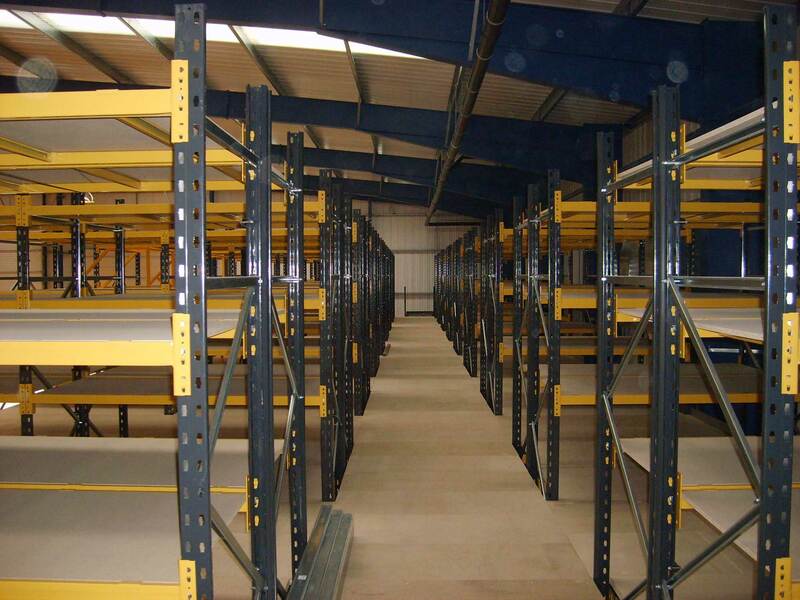 The pallet racking floor system can also form a 'racking floor over' when the ground floor comprises the same as above but the middle frames finish just below the decking and the perimeter frames continue past the decking to create the edge handrails. 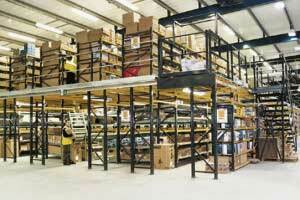 This leaves the entire first floor as one open space which is commonly used for bulk / block stacking of goods. 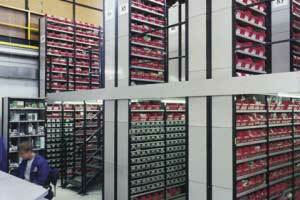 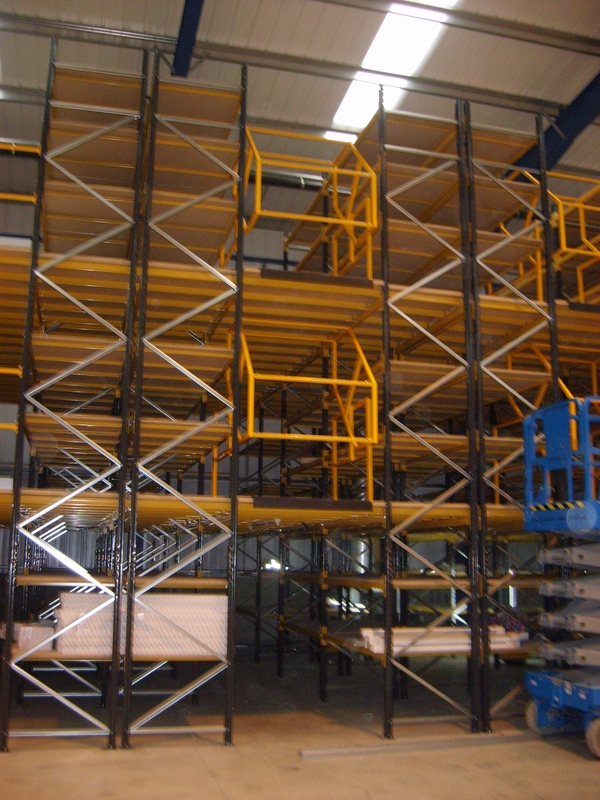 Independent racking can be used on the first floor of this type of structure BUT we must be notified prior to design stage as the ground floor loading MUST be designed to accommodate the 'punch loads' of first floor racks. 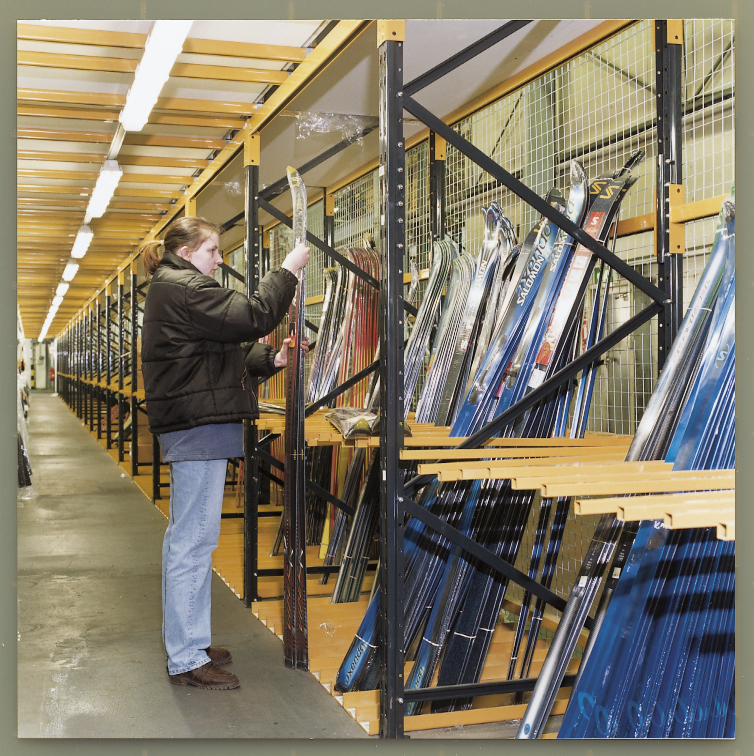 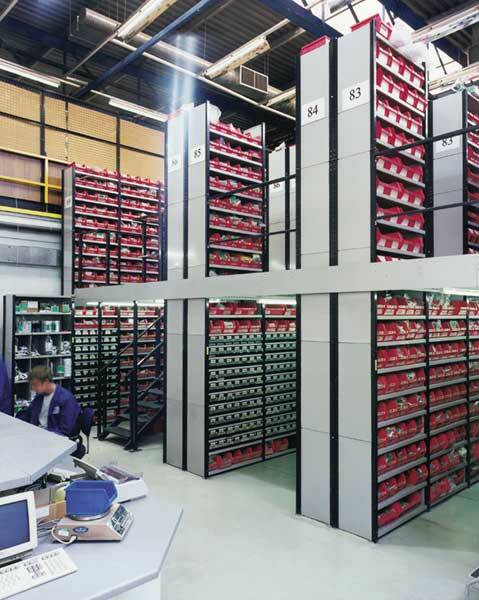 Shelving floors usually comprise of shelving frames set out in standard runs with aisles no wider than 1m, the floor decking is supported on steel joists fixed to steel angles bolted along the faces of the shelving runs / bays. 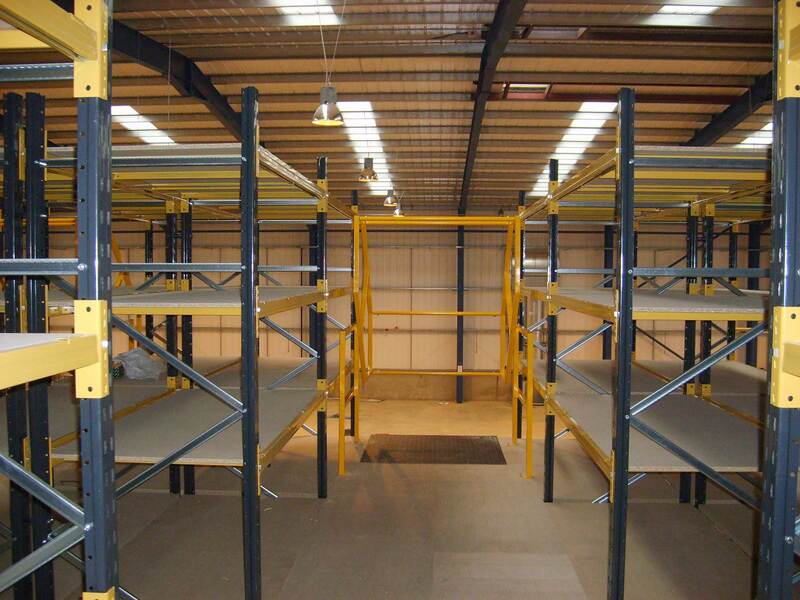 The ground floor then has standard steel shelves and accessories added where required in the runs of shelving. 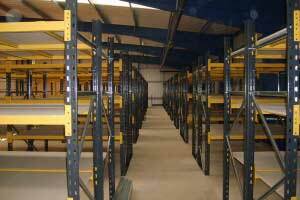 The ground floor shelving frames protrude through the decking level to form the racking on the first floor in the same configuration as the ground floor and shelves are added as and where needed. 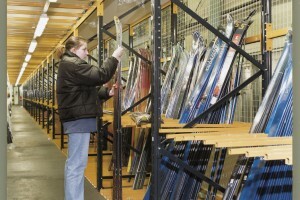 The shelving floor system can also form a 'shelving floor over' when the ground floor comprises of the shelving system as above but the middle frames finish just below the decking and the perimeter frames continue past the decking to create the edge handrails. 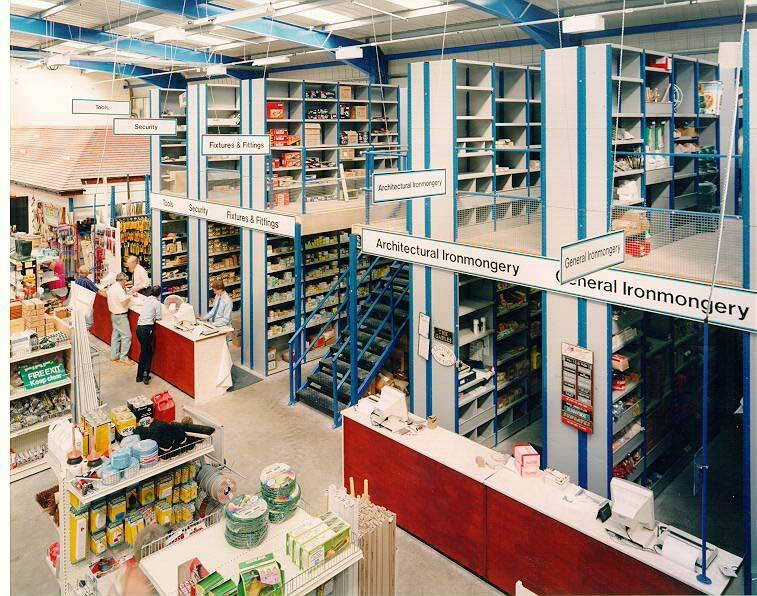 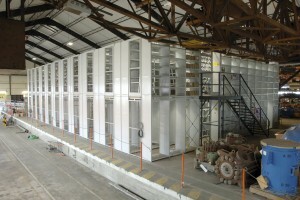 Independent shelving can be used on the first floor of this type of structure BUT we must be notified prior to design stage as the ground floor loading MUST be designed to accommodate the 'punch loads' of first floor shelves. 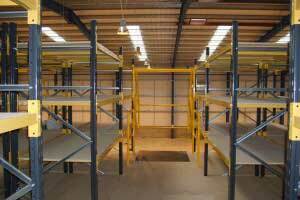 You can usually alter ground floor shelf levels but the entire frame and beam design forms the loading structure for the first floor. 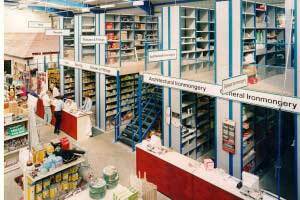 If you may need to alter the shelving aisles, remove bays completely or possibly use the floor for anything other than storage purposes we would recommend a 'Mezzanine Floor' as this will provide more flexibility.